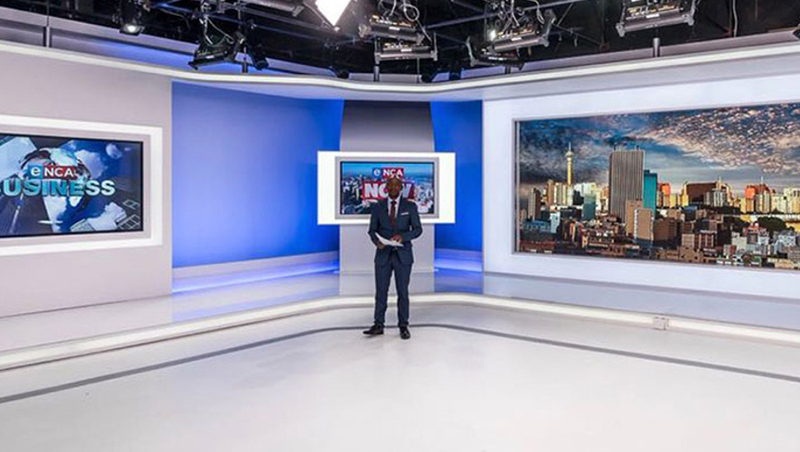 Ten years after launching as a South African 24-hour news channel, eNCA has debuted a new studio for its broadcasts. The creation of the network’s new broadcast facility was managed by a global team of consultants lead by Simon Marks, with the set designed by Michael Gill Designs. Gill also recently helped relaunch another network in South Africa, SuperSport. 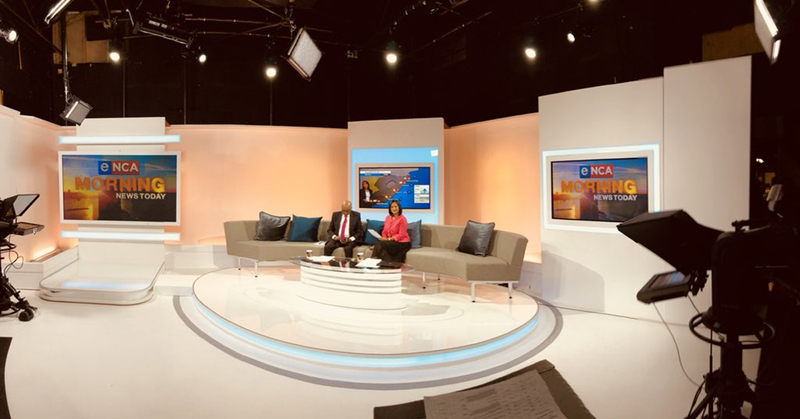 Wide view of the eNCA studio. Photos courtesy of eNCA. In addition to an LED video wall background with a backlit surround, the studio features smaller, strategically placed video panels as well as a mobile anchor pod. Walls wrapping around the rest of the set can be uplit with color-changing lighting, with flat and angled light-gray segments placed in front to break up the color-washed faux-cyc wall. This space includes three additional video panels with one featuring a riser that flows down from the wall behind it to form a rounded-rectangular presentation platform. This riser is connected to the riser supporting the sofa. “What we wanted to create was an open-plan, fluid space that would give tonality for shows throughout the day,” explained Marks.